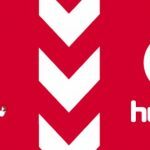 This is the new Middlesbrough Home Kit for the 10/11 Championship season made by Adidas. 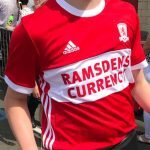 The new Boro strip has no sponsor, which gives fans a rare opportunity to get their hands on a sponsor free shirt. The kit is based on the outfit worn by Jack Charlton’s 1973-74 winning team. The collar is white in colour, and so are the Adidas stripes. There is a white band in the centre of the shirt. The shorts are primarily white in colour and the red socks complete the strip. 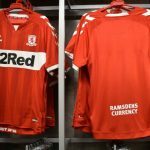 The Middlesbrough home kit will go on general sale from July 31. This entry was posted in English Championship and tagged Adidas on July 12, 2010 by Football Kit News.